Rated 5 out of 5 by Yanie1020 from If You Like Fairy Tales If you like fairy tales with somewhat cartoonish graphics, you'll like this one. Lots of HOS's & puzzles. Quite a long game. 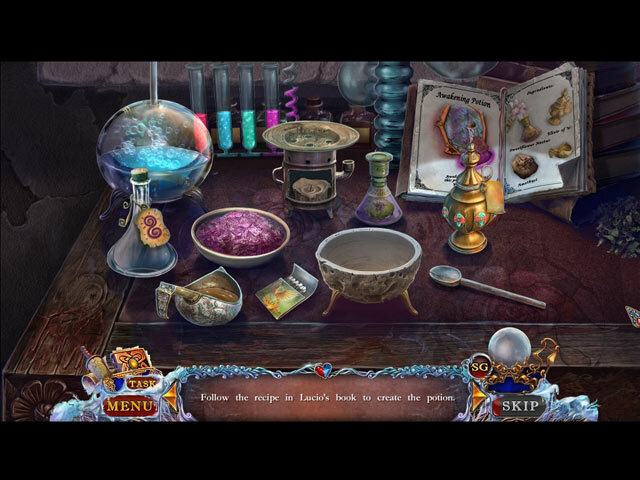 I normally don't like the fairy tale type games, but this one was fun, with some different hidden object scenes. I had to turn off the music. It became really annoying after while. All in all, a good game that I believe merits 5 stars. Rated 5 out of 5 by denniann2 from watch out ice queen, here i come!!!! there is no custom level but a great hint system that shows where you need to teleport to. you also have a journal. you are on the trail of the ice queen who turns people's heart to stone and along the way you set the evil people free and they turn good again. this was a fun game for me. love chronicles is a great series and from the way this one ends, there will be another one. great graphics and the HO scenes are not crowded. 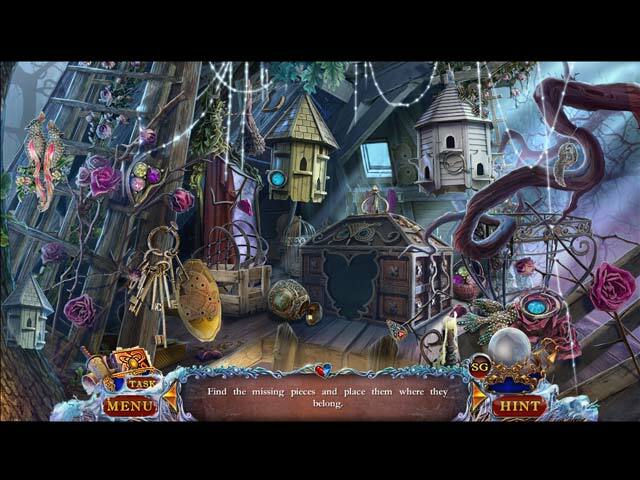 Rated 5 out of 5 by granraven3 from A Wonderful Game With Extraordinary Hidden Object Puzzles First, let me say I look for things that are outside the ordinary. Looking for items on a list has become pretty boring. That's why this game ranks so high on my "I like it" meter. Silhouettes, find the shapes and use what you find just makes a game so much more pleasant for me. This game has all that PLUS a great storyline! There's nothing more satisfying than finding a mother find her captured daughter. I loved the recurring Ice Raven theme also. It, along with the puzzle pieces, pulled it all together, giving you something you knew you'd find to help you out. Add to all that, the beautiful artwork and you have a winner of a game. This was definitely worth the money. 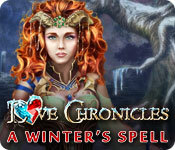 Rated 5 out of 5 by Maebird from Love Chronicles: A Winter's Spell (SE) This is a really good game. I was pleasantly surprised. I have all the Love Chronicles games in the series. Each one is different. 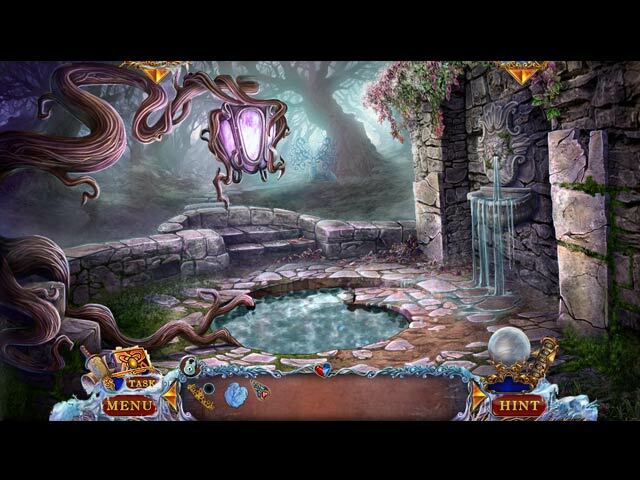 Your goals in this game are to rescue your daughter, Princess Lerione and stop the Ice Queen. The interactive puzzles are different. For example: You must find the indicated shapes hidden in the illustration, in another puzzle, you must use a jeweled spider to capture flies entangled in a jeweled encrusted web and in another, you must select the symbol that make-up the compound symbol. There is also chess-like game, of which I was totally no good at playing. For this one, I used the skip button. There is evil magic to dispel. But to use the magic orb, you need to collect magical book symbols to charge the orb. The orb is then used to dispel evil fog. The scenery is beautiful, ice cold, and dangerous looking. I liked that I didn't have to go back and forth to find pieces of a puzzle or an object that goes this place or that place. I get headaches doing that. In this game, you can't move forward until you have accomplished all of the goals in each world. Along the way, you encounter many people who have been affected by the spells of the Ice Queen. If you've ever played (and liked) the other Love Chronicles games, I recommend this game for your collections. BTW, I am an intermediate player and it was good for me playing at the casual level. Rated 3 out of 5 by CrisC from Stop talking blah blah blah - stop talking already. The storybook got Old really quick. I did finish and would really have enjoyed the game if it wasn't for the storybook parts. Some of the puzzle parts were obscure and I always hate when you already have found an item - used it - and then have to find a similar one in a different scene. If one can overlook these two flaws then you'll like the game. Rated 2 out of 5 by debbym1 from One of the least engaging games I have ever played The puzzles are uninteresting and common. The art is mundane. The story is trite. The sound and the music were just ok. If you play a lot of this sort of game, you will miss nothing by skipping this one. Rated 2 out of 5 by augustpeanut from Disappointed this is by far the worst game I have played in a long time. I wasted a game credit but at least it was only one. I am tired of waiting for the really great ones that Big Fish used to offer. Rated 2 out of 5 by ushina from What was that??? A nice story but you don't play it as a game you have to puzzle yourself through it. Puzzles,mini-games, HOS,Story books and everything they could find to keep you occupied on one spot. No Adventure and that with such a good story and beautiful graphic. No fun for me! I just recommend it for lovers of ALL genres in that fish pond.